Becoming a good sailor does not happen overnight – it requires a lot of time, effort and commitment. But the end product is what makes everything worthwhile, as a well trained and experienced sailor can enjoy all that the wonderful waters have to offer. Sailing has increased its exposure thanks to the success of the London 2012 Olympics and in events since such as the Americas Cup. The success of sailors such as Ben Ainslie, Iain Percy and Hannah Mills has only added to the excitement surrounding the sport. Widespread media attention has drawn people to sailing and it is encouraging more people to give it a try. In order to learn how to sail, it should be done in a number of stages, beginning with the basics and then working through a number of more complex courses that build on the skills already developed. Sailing is one of those things that is very difficult to simply pick up and move forward with – the likelihood of someone getting into a boat and immediately mastering it is virtually impossible. Boating courses provide all of the basic skills that are required by novice sailors, covering aspects such as sailing with and against the wind and on how to correctly balance a boat. Aspects such as how to correctly embark and disembark a vessel are covered, while the various types of knots and boating commands will also be taught. Anchoring, docking and other essential parts of the sailing process can be covered in a quick and simple way, allowing sailors to get their first experience out on the water. However, this will often be done in a controlled environment to limit the safety risks and to ensure that people do not get into trouble as they learn to sail. In a similar way to learning to drive a car, only a few lessons are needed to learn the basics but a considerable amount of time can be required to master them. Safety when sailing is of fundamental importance, especially given the power of the seas and risks associated with open water. As a result, a firm grasp of all aspects of safety including first aid and how to survive at sea is absolutely essential. First aid courses will cover the basics of emergency care, including how to manage injuries until more experienced assistance can be found. The coastguard and other emergency services are always ready to provide assistance but the critical time between an emergency developing and their arrival can be crucial. First aid courses will look at how to place people in the recovery position in a confined space and how to administer CPR if it is required. Protecting people from shock and hypothermia will also be covered, as will how to manage any sailors overcome by seasickness or dehydration. Survival courses will explore safety in greater depth and will focus on how to recover people from the water and how to stay alive until help is available. While the risks associated with sailing cannot be removed completely, they can be mitigated to create a safer environment in which to enjoy the sport. For some safety advice for budding sailors, check out the five crucial things to keep in mind. 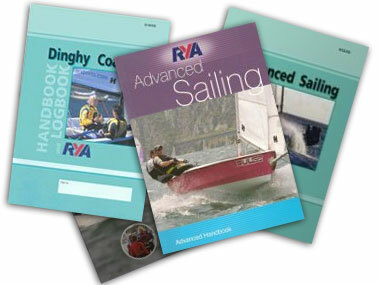 Once the basic sailing skills are developed, a sailor can then consider their options, with a number of different courses available to help them on their way. For those keen to learn how to skipper a vessel, day skipper training courses will cover everything that they need to know. However, these courses can take a considerable amount of time to complete and should only be considered by sailors who are very committed to the cause. Alternatively, a sailor could consider motor boat courses if they wish to use vessels with motors on board, while yachting might also appeal. The basic skills prepare a sailor for their time on the water and the majority of these skills can be applied when in any vessel, regardless of its size.